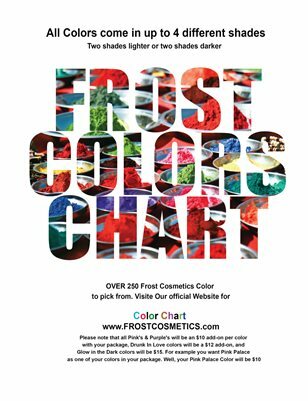 Frost Cosmetics official color chart booklet. 250 colors with up to 4 shades per color. Try any collection of colors. All colors apply to any and all cosmetics products. Also, we offer custom color matching service.